Conor O’Shea was born in Limerick, Ireland in October 1970. After a couple of years with Leinster, Conor joined London Irish in 1995 and would go on to make 127 appearances, scoring 412 points for the club . Conor’s playing career was ended by injury early in the 2000-01 season. Between 1993 and 2000, Conor made 35 appearances for Ireland. 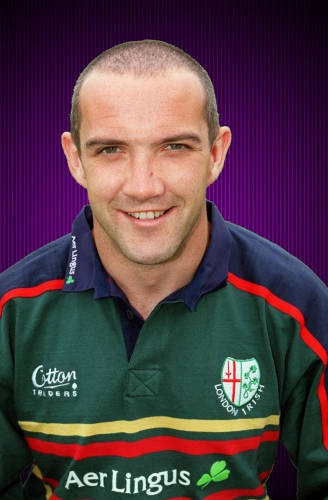 Conor moved into coaching with London Irish in2001, initially as a skills coach, before becoming director of rugby and lead the club to victory in the Powergen cup in 2002. In 2005 left London Irish to take a role at the RFU and in 2008 to a role at English Institute of Sport. Conor returned to Rugby as Directory of Rugby at Harlequins in 2010 and became Head coach of Italy in 2016. Information used on this page has been sourced from Wikipedia – if you spot any inaccuracies or have additional information, please let our webmaster know.